The following screen gives a comprehensive summary of the current weather in a simple graphical form, using speedometer-type dials, etc. 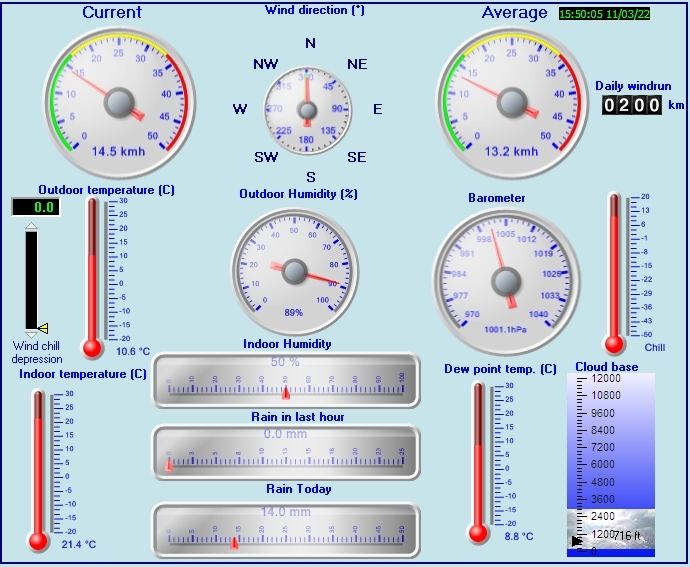 Note that the top left dial shows current wind speed (i.e. the instantaneous wind speed when the reading was taken) and the right hand dial shows average wind speed.